This research presents the results of speed-up and coastdown tests with a variation in the radial clearance of gas foil bearings. The test facility includes a high speed driving motor and a two-stage turbocompressor whose shafts are coupled using a flexible coupling. 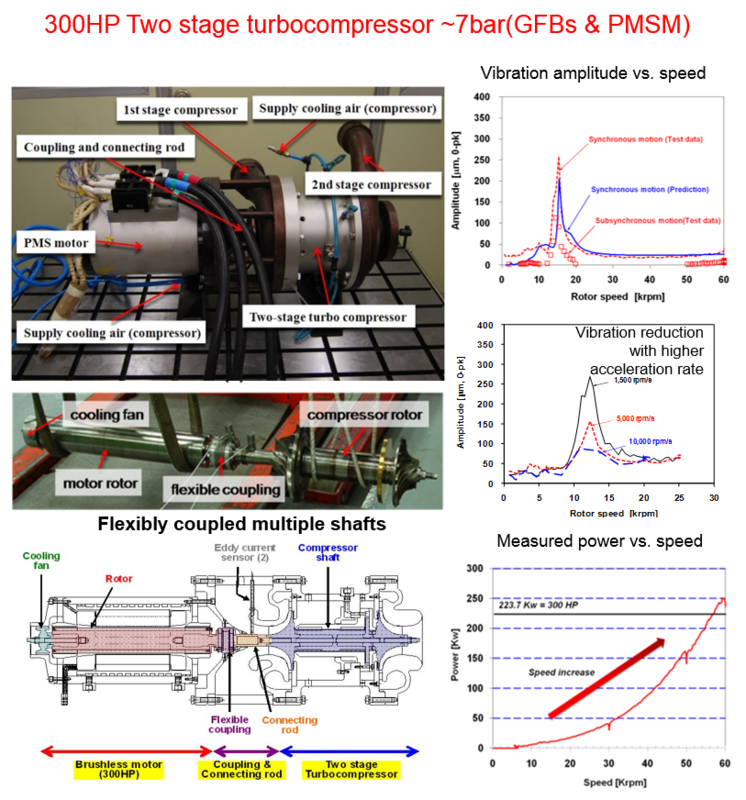 A series of imbalance response tests demonstrate the effect of the radial clearance of GFBs on the rotordynamic performance of the oil free turbocompressor supported on GFBs.